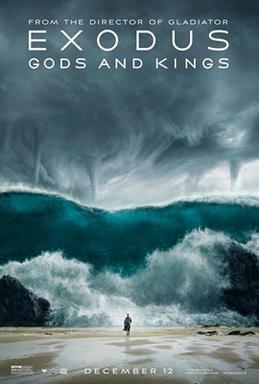 There has been so much criticism of Exodus: Gods and Kings that it’s hard to know where to begin. Critics were generally unimpressed, arguing that the film’s technical achievements overwhelmed its human interest. For a number of Christian outlets, however, the trouble did not lie in director Ridley Scott’s love of CGI but, rather, in his all-too-loose rendering of biblical events. Muslim audiences raised similar concerns, so much so that the film was banned in countries such as Morocco and the United Arab Emirates. Still others bristled at Scott’s penchant for casting Anglo-Saxon actors as Egyptians and Hebrews — a move that Scott defended as financially necessary. And, finally, there were the comments of Christian Bale, who plays Moses in the film. Bale admitted that, in his view, Moses was “troubled” and “mercurial,” possibly even “schizophrenic.” Needless to say, such remarks attracted more than a little attention, not all of it flattering. Geez. Can’t a guy make a 150-million-dollar, biblically-based epic action film anymore?! In truth, the controversy surrounding Exodus: Gods and Kings has made it almost impossible to evaluate the film on its own merits. For my own part, I am sympathetic with much of the criticism mentioned above. At the same time, however, I found Scott’s attempt to depict the Exodus story intriguing, albeit far less so than Darren Aronofsky’s Noah. Indeed, unlike Aronofsky’s magical adaptation of the Noah cycle, Scott treats his source material with flinty seriousness. He wants it to be a credible adaptation of Exodus, but credible according to whom? One might tender a number of reasonable answers. For the faithful, Scott clearly portrays Moses as a hero, who, despite an independent streak (which, it should be added, is attested in Scripture), relies on God for his power. For the skeptics, he suggests that the great miracles of Exodus — for example, the parting of the Red Sea (Exod 14) — were actually triggered by natural occurrences. For those desiring drama and romance, he attends to the fraternal tension between Moses and Ramesses (an awkwardly cast Joel Edgerton), as well as Moses’ desire to return to his wife, Zipporah. And, yes, for those merely wanting a Hollywood adventure flick, he’s got battle scenes and dazzling special effects, not to mention Bale and his Occidental cast members. The trouble, of course, is that it’s hard to be all things to all people — a point borne out by the widespread criticism of Exodus: Gods and Kings. But there may be a deeper issue here as well. Artistic renderings of biblical events tend to fail just to the extent that they lack commitment, and, by that, I don’t necessarily mean creedal commitment. For instance, George Stevens’ The Greatest Story Ever Told (1965) is measured to a fault, featuring an all-star cast (sound familiar?) rather than inspired filmmaking. In contrast, Pier Paolo Pasolini’s Il Vangelo secondo Matteo (1964) stirs with its combination of neorealist cinematography and varied film score (from Bach to Odetta), in spite of Pasolini’s atheism. In Exodus: Gods and Kings, Scott is more Stevens than Pasolini. Certain only of a hefty box-office draw, his film fails to move or to hearten or to perplex. But this means that the text has been domesticated, turned into a means to an end. And, as Kierkegaard points out, such is a common yet perilous tendency in the “reflective” age of modernity, when the cost is often counted in advance.